← Are You Stuck on the Sideline? My niece turned sixteen this weekend. SixTEEN! Maybe some of you have nieces or nephews or maybe even kids who are sixteen. I don’t. My niece is a little bitty blonde girl with a big belly laugh that makes my heart happy every time I see her. She was the little girl who the second I met her I finally got what true love was. The unconditional kind. For the first time in my life, when I looked at her, I knew it was possible that I would actually give my life for someone else. We called her chunky monkey and she would laugh hysterically when my Dad tossed her in the air. She was the first real baby in my life. I didn’t have kids. None of my friends had kids. I had cousins and I had babysit a few kids. In fact, I babysat my niece’s mother. Yes, you read that right. The little girl who would end up being my sister-in-law and the mother of my niece (and nephew a few years later) was crazily put into my capable(ish) 14-year-old hands. The closest I’ve ever lived to my niece was a three-hour drive. Now it’s a fifteen hour drive at best. We don’t see each other often but it doesn’t have any effect on how much I love and adore her. Isn’t it weird how these kids grow up and turn into little grown ups and we stay exactly the same? No, no, that is exactly how it works. So what if I told you about my oldest turning 11 this month? Time is standing still for me and moving way too fast for these kids. One minute they’re in diapers and piggy tails and the next they’re walking out the door with the car keys. She’s the oldest “kid” in my life but she’ll always be my little girl. Happy Sweet Sixteen, beautiful! For the record, my other little girl (my youngest daughter) has a birthday next week. Damn, August is a rough month for this old momma. 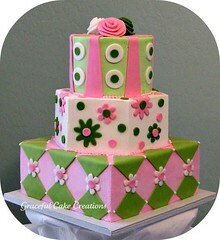 This entry was posted in Kids and tagged August, Birthday, Birthday cake, Family, kids, niece, Sweet Sixteen. Bookmark the permalink. Thank you, Carrie! And yes, scary indeed!